If serving as a volunteer at a lighthouse sounds interesting, we are seeking volunteer keepers at both our lighthouses in northern Michigan – the St. Helena Island light station seven miles west of the Mackinac Bridge and at the Cheboygan River Front Range Light in downtown Cheboygan. 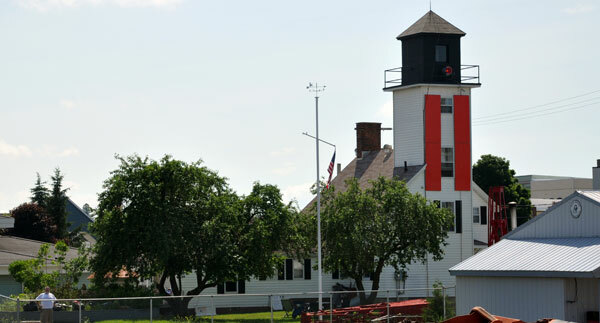 The St. Helena Island light station has earned the name “the Miracle of the Straits of Mackinac,” not just because of the incredible restoration that has been undertaken over the past twenty years, but because of a type of peace and quiet which can only be found on an uninhabited island in Lake Michigan. 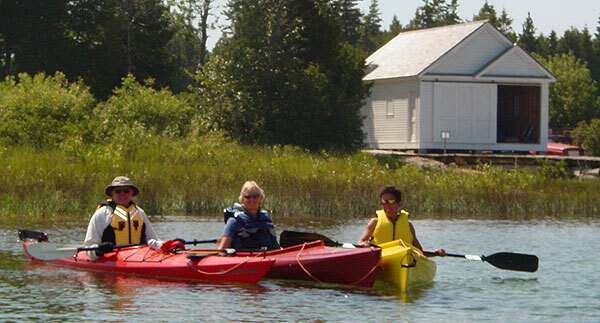 At least one experienced keeper will be on site with you throughout your experience to provide guidance and assistance.Housing opportunities in the lighthouse are varied and are dependent on the groups scheduled on the island during your stay. Volunteer keeper openings are available from mid-June through mid-August, with tours of duty ranging from a minimum of 4 days through the entire two month period, based on the volunteer’s availability. Positions are open to singles, couples and families; however any children must be at least 8 years of age. Volunteers will be transported by boat from Mackinaw City to St. Helena Island and will spend their entire tour of duty on the island before being returned to Mackinaw City. 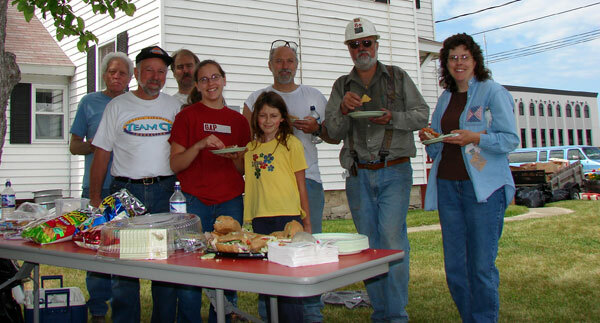 Duties can run the gamut from painting, sanding, cooking, washing dishes, dusting, hand-pumping and carrying water, serving as a tour guide, and clearing brush and weeds. The fee for this unique opportunity is $100.00 per person for transportation to and from the island, and $25.00 per day for food and consumables – and trust us, you will eat very well! 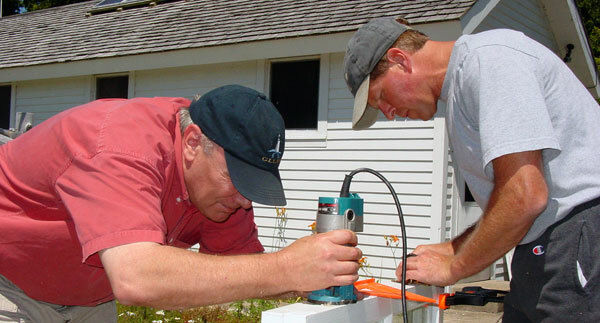 If you have ever yearned to gain a glimpse of the lighthouse keepers life, while simultaneously assisting with the operation and maintenance of a historic lighthouse, you might consider serving as a volunteer keeper at the Cheboygan River Front Range light for a weekend during the summer season. Two volunteers (couples or good friends) will share a bedroom at the lighthouse at no charge while providing an enjoyable and hospitable environment for visitors from 9:00 a.m. to 5:00 p.m. on Saturdays, Sundays and Holidays between Memorial Day and Labor Day. Keepers will emphasize safety precautions for the visitors as they proceed up into the tower and regulate the number of people in the tower. Daily cleaning of the lighthouse is necessary. 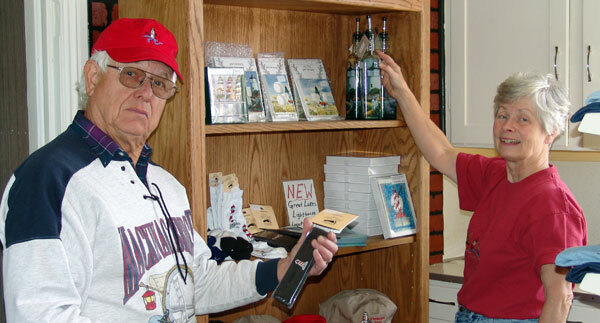 An important duty of the Keepers will be to staff the gift shop. You will be trained to maintain a record of sales, collect cash, make credit card sales and make change. In addition, daily cleaning of the gift shop including dusting, vacuuming and sweeping will be necessary. Since volunteer Keepers will work in pairs, you will be free to swap between gift shop and tour duties as you see fit. Keepers will also be responsible for building and grounds maintenance throughout the day. This may include sweeping down buildings, mowing the lawn, trimming grass, changing light bulbs, etc. There will also be special projects from time to time - ranging from carpentry, light demolition, painting, etc., depending on the individual keeper’s skills and abilities. 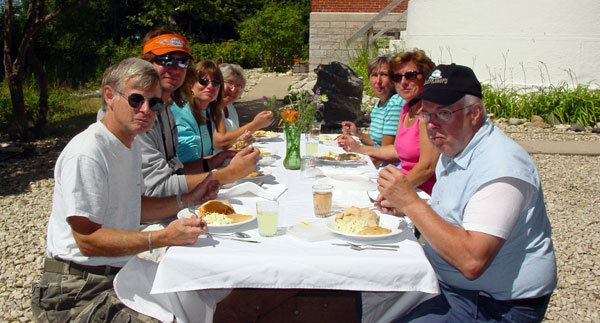 Located centrally downtown Cheboygan, the experience of serving as a weekend volunteer keeper at the Cheboygan River Front Range light offers a unique combination of staying in a historic riverfront lighthouse while enjoying all the amenities of a bustling downtown area. If you have any questions concerning volunteering at either the St. Helena Island or Cheboygan River Front Range light stations, feel free to email us at info@gllka.com or call us at 231-436-5580.